As a retailer, it is your endeavour to market your brand and carry out the needed branding campaigns to reach out to people. Branding exercises range from the usual ad hoc ones to much effectual and efficient ones today. Mass marketing is out and direct marketing is in and these newer techniques which have surfaced aid your business just right. Targeted e-mail marketing refers to building of a database that is relevant to your business and then keeping them informed of all that they need to know and could be of use to them. Sending relevant information will bring back the customers for more. As the marketing is so targeted, the deliverability outcomes are generally very high. 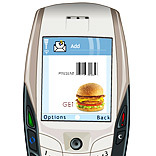 Mobile marketing refers to the promotion of products by the brand to its prevailing customers. The success of the format depends on the usage and willingness of the customers to accept advertising and advertising-supported services. Mobile promotion is an extremely striking opportunity for retailers because mobiles are one thing that people carry with them all the time. It has been found that 84 per cent of the people keep their cell phones with them around the clock and the customers open 94 per cent of all text messages. Also despite the fact that patrons aren't outrageously fervent regarding cell phone advertisements, about 20 per cent of users find some form of advertising on their mobiles to be acceptable. With the number of mobile users increasing, this seems to be a technique that you can cash in on. Advergaming refers to developing a game to advertise a brand. In this tool, you can wrap a brand’s core message in a gaming format in a fun yet discreet style. This is a way of creating an experience for a customer with a brand with ample quality of interaction. As the youth brigade is becoming the most targeted group and it is they who are hooked onto gaming websites a lot, this seems to be the perfect option for you to capture their attention in a way that is recognised by them. Advergaming helps to create awareness and encourage user interactivity with the brand. Of course, this does not mean that main advertising and marketing strategies will disappear, but just that the new ones will also play a parallel role to rule a customer’s mind. Building a one-on-one relationship with customers is what is governing the marketing strategies that retailers are adopting. Customer Relationship Management (CRM) is coming true to its nature with this kind of marketing. Gathering information from customers based on their needs and expectations and catering to their needs effectively will bring them back to you. This can also help you categorise your customers in different groups and carry out marketing strategies that are relevant to them as a whole. Due to busy schedules people do not wish to attend to all the stimuli that they encounter. They pick and choose the ones that are of relevance to them, and if you can offer just what they need, then you sure are building upon a loyal customer. This is the beauty of direct marketing and also shows its effectiveness. Though a customer would opt in on the advertisements he comes across but over doing it will only push him farther away. So you need to be sure that they are timely and that they look forward to hear from you and not that they get irritated by the frequency of coming in contact with your marketing practices. Another very important factor to keep in mind is that the messages need to be personal and customised to the customer. Putting to use these techniques will for sure help you connect in an enhanced approach with the customers and create an idealistic image. It will bring people closer to the brand and will help hem identify with it. So what are you waiting for??? If you are not using these techniques, then its time to get going!